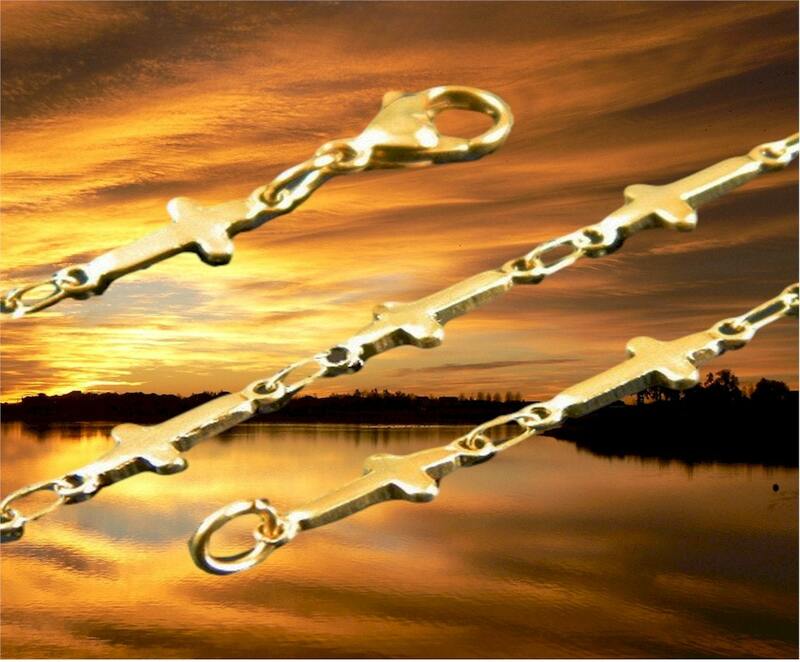 Each Tiny link is an actual Small Stainless Steel Cross available with gold plating. How cool is that! 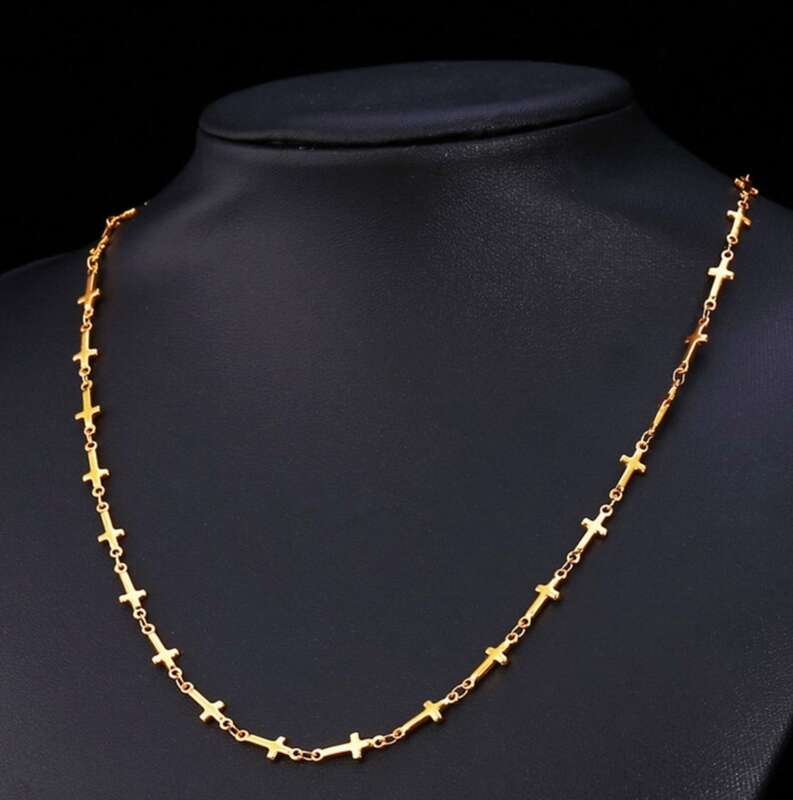 The Gold plated necklace available only in 20" length. 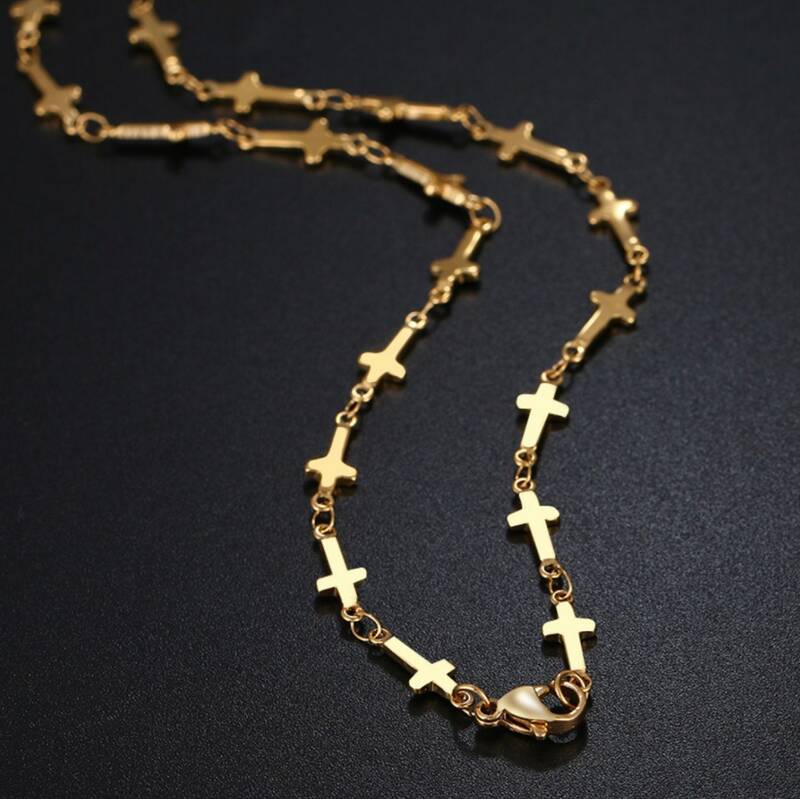 Each Cross link of the Necklace (including lobster claws) is Stainless Steel with gold plating and will retain it's luster for many years to come. 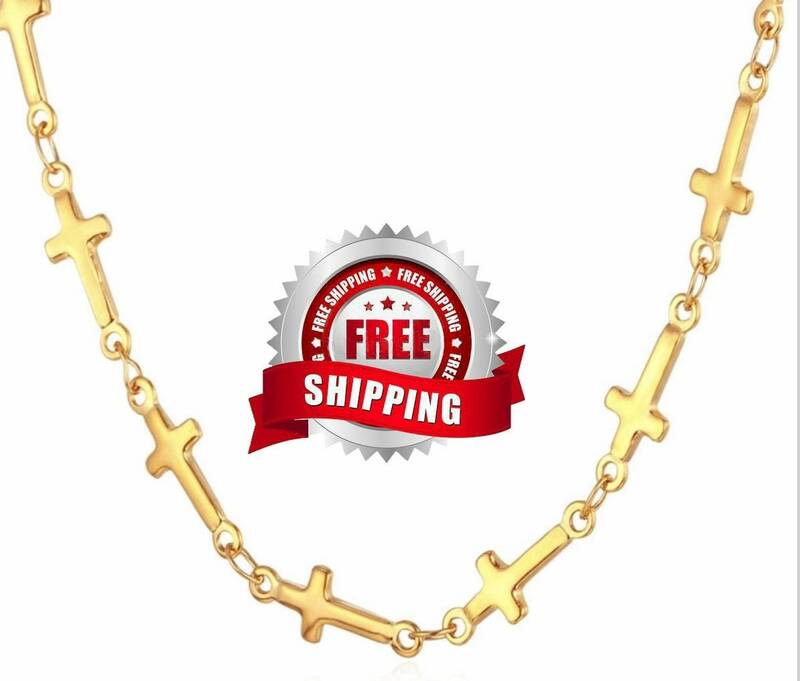 o Necklace Only for $12.99 available in 20" length. 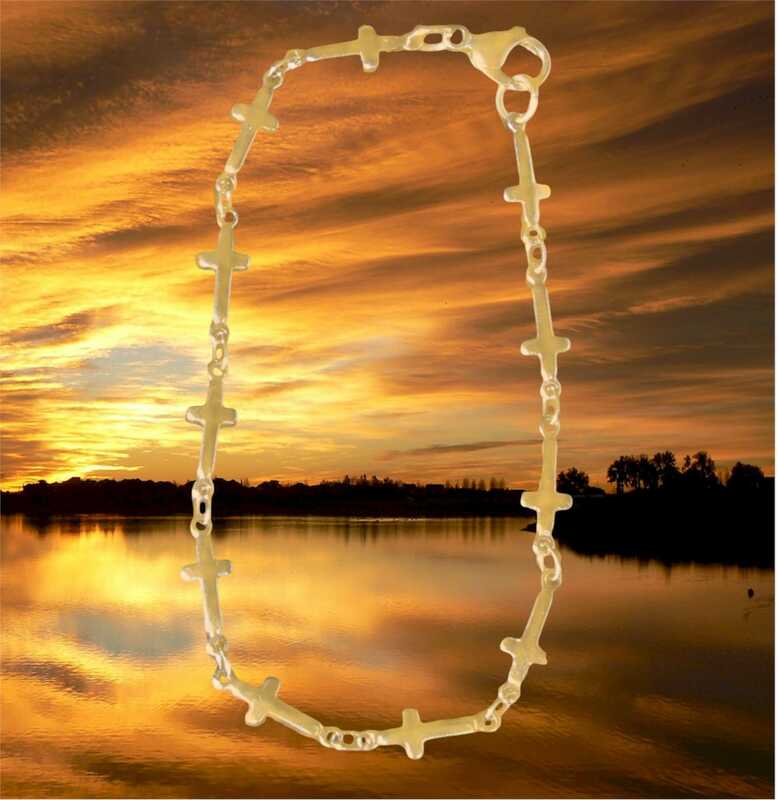 o Necklace and Bracelet. 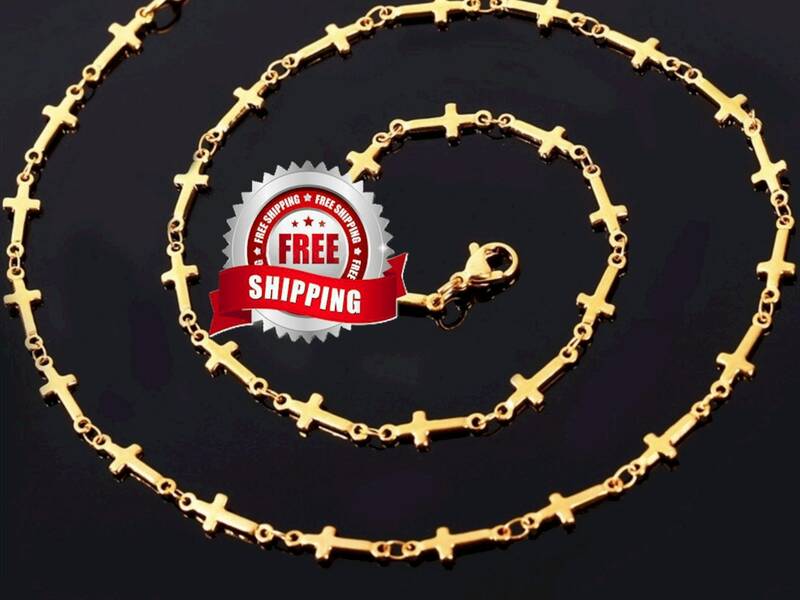 Includes a 7 1/2" Tiny Cross Bracelet for only $5.00 more! 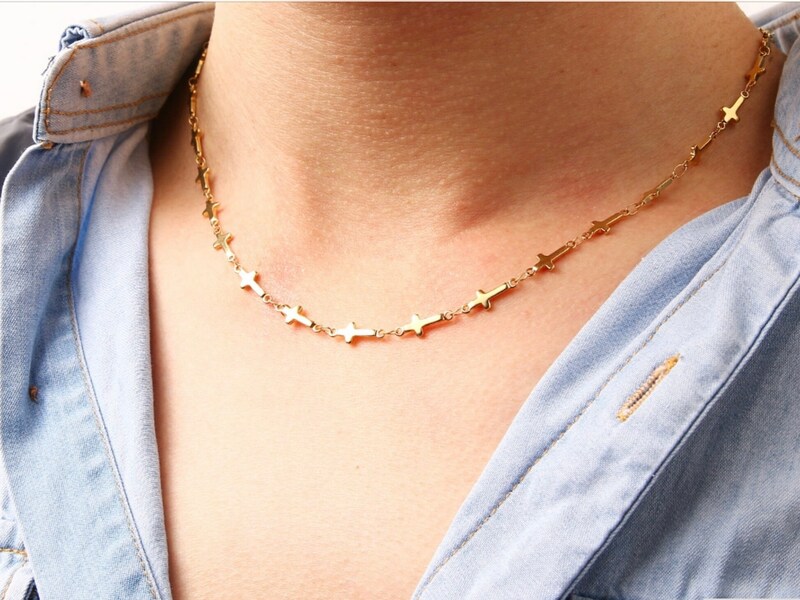 o Necklace and Earrings. 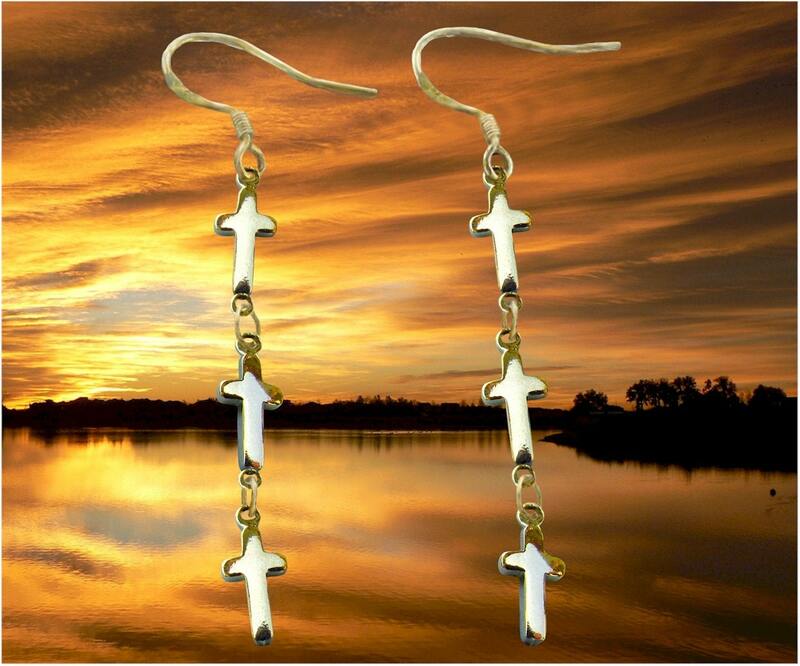 3 Tiny Cross Dangle Earrings for only $5.00 more! 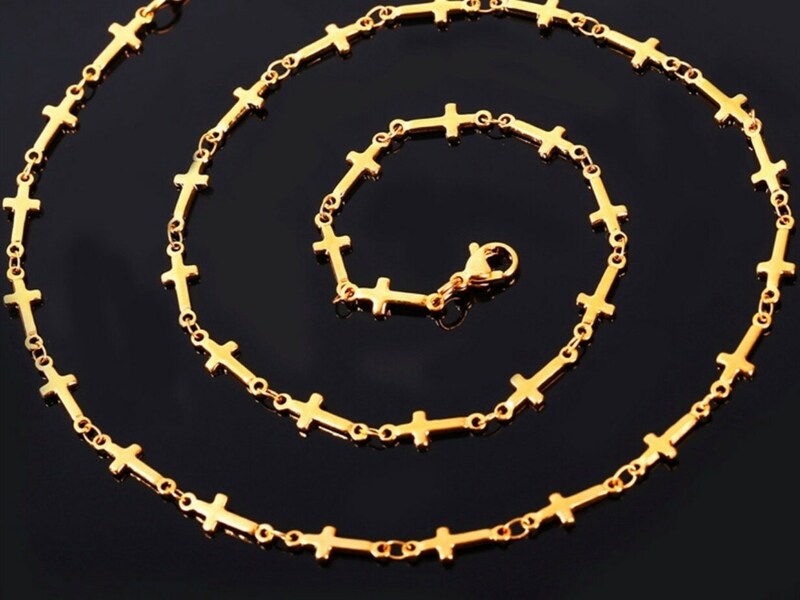 o Get 3 piece set Necklace, Bracelet, Earrings for just $19.99!